On Tuesday December 5th, 2017, UBC support office spearheaded a sausage sizzle fundraising as part of its initiative to supporting children’s health in Victoria. 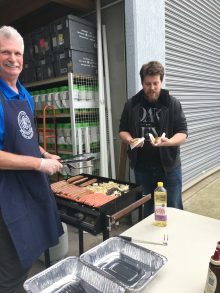 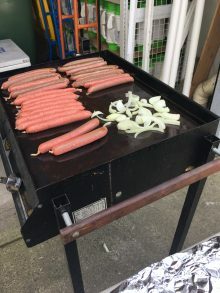 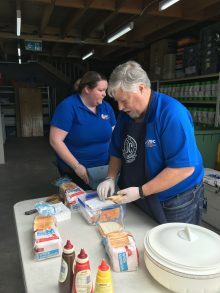 With the rain from the last weekend clearing, we were graced with great weather and for a first try, we thankfully had the support of our neighbours from the street, where even the sausages were sourced locally from the same street as our office! 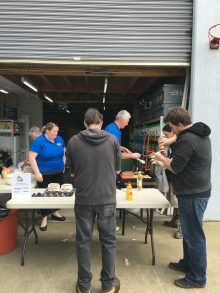 We also had donations of sauces from Masterfoods, a financial contribution from our local Coles at Airport West and also from Peerless foods. 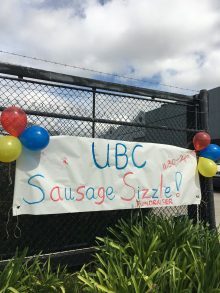 Apart from the month of January, UBC head office aim to continue this fundraising monthly. 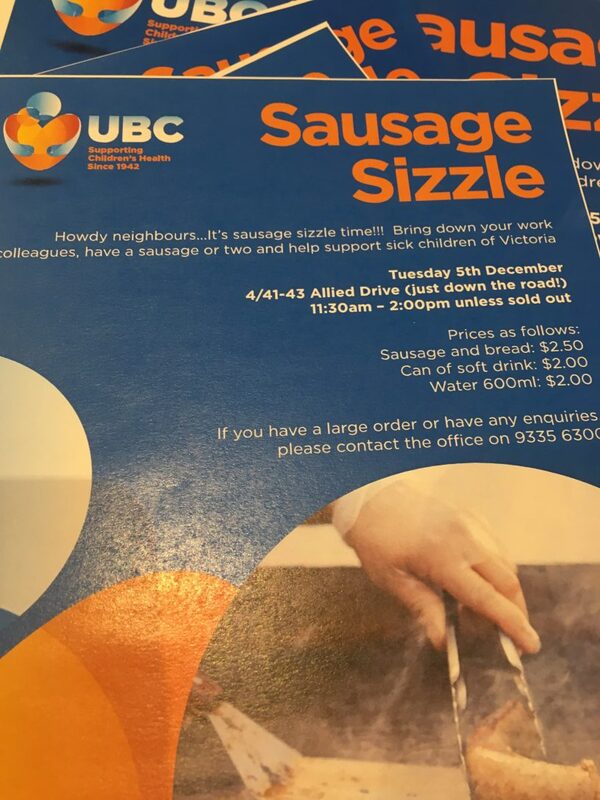 To be involved, do email us at support@ubcvic.org.au or call us at 9335 6300.